Supporters of the effort to repeal California’s 2017 gas tax in November have proposed another ballot initiative to end the state’s high-speed rail project for the 2020 election. The initiative would reform California’s transportation funding mechanism by ending the California High-Speed Rail, as well as conducting audits of government agencies and projects. The new ballot initiative, which is referred to as the “Replacement” initiative or the Citizens’ Lockbox for Road Repairs and Infrastructure Improvement, was submitted to the Office of the Attorney General on Sep. 25, according to the letter from Carl DeMaio, the Chairman of Yes on Prop 6. “By filing this ballot measure before the November election, we begin our third and final phase of fixing California’s roads without raising taxes on struggling working families of our state,” said Carl DeMaio in a statement. The measure requires creating a trust fund that will take care of all the revenue the state generates from the gas tax, sales tax on vehicles, and other fees collected from licensing. The fund is expected to be able to secure billions of extra funding for the purpose of road repairs and infrastructure improvement, according to a Yes on Prop 6 campaign assessment of information provided by the Legislative Analyst’s Office. The initiative’s plan to end the California High-Speed Rail Project will also divert its leftover funding to other transportation projects. The project was reported as previously facing possibly billions of dollars in extra cost because of delays and inflation. In addition, the initiative requires the State Auditor to conduct an audit at least every three years to examine the performance and efficiency of the Department of Motor Vehicles in terms of customer service, quality, cost, efficiency, and contractor performance. In 2017, Governor Brown and the Legislature passed SB 1, which raised taxes on gasoline and diesel fuel by 12 and 20 cents per gallon respectively. It also imposed several new fees, including an annual “Transportation Improvement Fee” for car registrations, which ranges from $25 to $175, depending on the cost of the vehicle. The new gas tax received a lot of criticism, saying the funding could possibly be used to pay for the High-Speed Rail Project instead of road repairs. Opponents later successfully recalled State Senator Josh Newman because of his vote for the tax, erasing Democrats’ supermajority in the state senate. In April 2018, nearly one million signatures were collected to qualify the gas tax repeal measure for the November ballot. 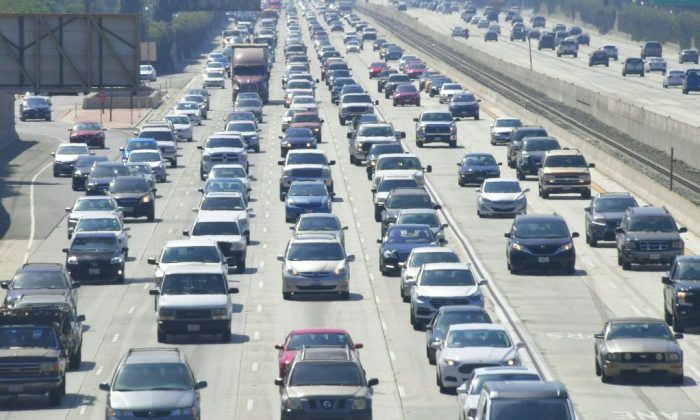 “As the author of the alternative to the SB 1 gas tax increase, I said over and over again that we can fully fund our roads without any fee or tax increases,” said Assemblyman Vince Fong.